This post contains affiliate links. If you purchase via some of these links I will receive a small commission. Mum wants to share these with you. She got them at Christmas and she absolutely loves them! First, here is this amazing cat book. It's bigger than me as you can see! 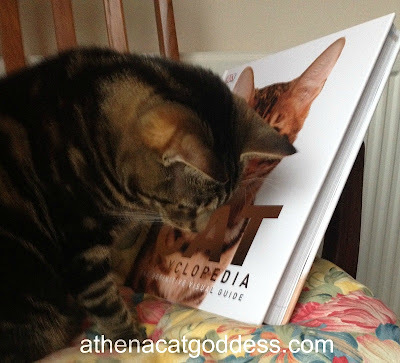 It's a book called The Cat Encyclopedia and it's so heavy that Mum fears she might drop it on me so she has to be very careful when she is reading it. This book has so many amazing feline facts. Everything is here and more. Right from the earliest history of cats on this planet to how we evolved into the domestic cats that now dominate the world. Yes, all you need to know about cats is here. Just so much detail you probably won't get with other cat books (those that Mum has read anyway, and she's read a lot of cat books!). You will learn about cat anatomy, cat care, cat behavior, cat health and lots lots more. My mum is fascinated by the astonishing beauty of this book and its wealth of information. Packed with stunning images and extensive details, it's a must-read and must-have for any cat lover! And now for the Cat Tarot card deck. One of my mum's many hobbies is the Tarot. She has been dabbling in it on and off for years. 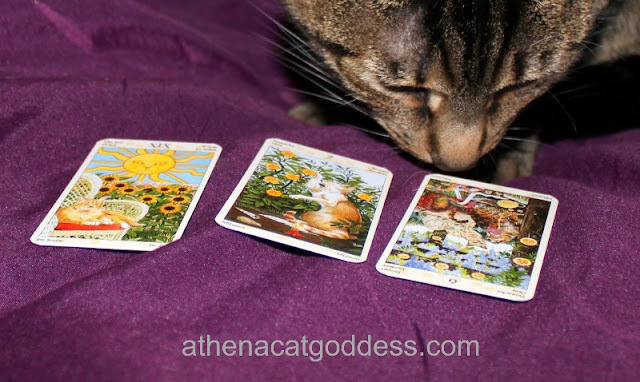 So, as a cat lover, of course, she just fell in love with this cat tarot deck. It's called the Tarot of Pagan Cats Tarot Deck. The artwork of this deck is beautiful and Mum can't stop admiring it. She says it helps her feel better and she finds all the art and symbolism inspiring. She suddenly has so many creative ideas. Maybe it's in the cards? and sees the tarot from the cat's perspective. What does this cat think? 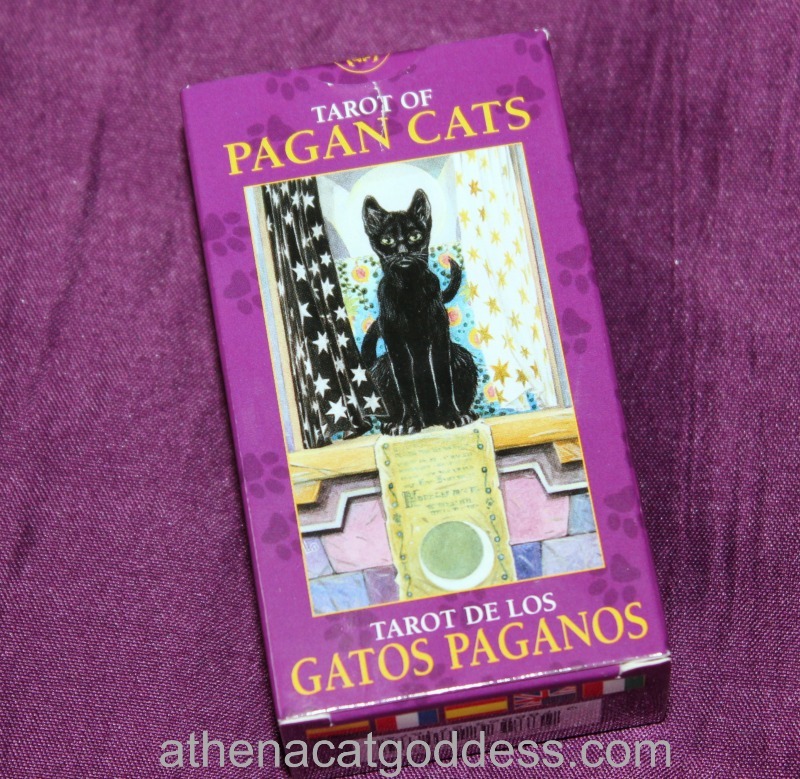 I think this tarot deck is purrfect and magical - just like us cats! Disclosure: I was not sponsored for this post. However, there are some affiliate links to help pay towards running costs of this blog.Full Disclosure. 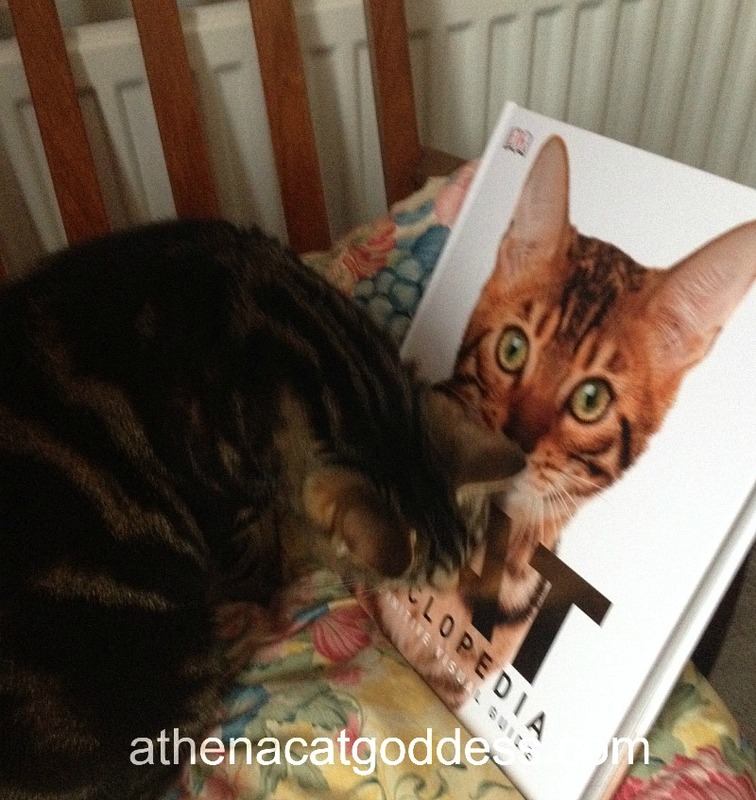 My human has a couple of cat tarot decks... but she doesn't have this one! Yet. Dat sounds like a gweat book. Glad yous mommy got it. I've been using the Tarot of the Cat People for 25 years...it works best for me. How very cool! We haven't seen that deck before. It looks purrfect. That does look like a great book and the artwork on the Tarot is very nice too. That's a great book. Mom has the Tarot of the Cat People. That deck looks pretty interesting too.